They're a modern Stone Age family. 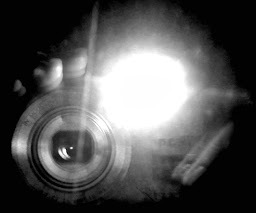 Thru the courtesy of Fred's two feet. 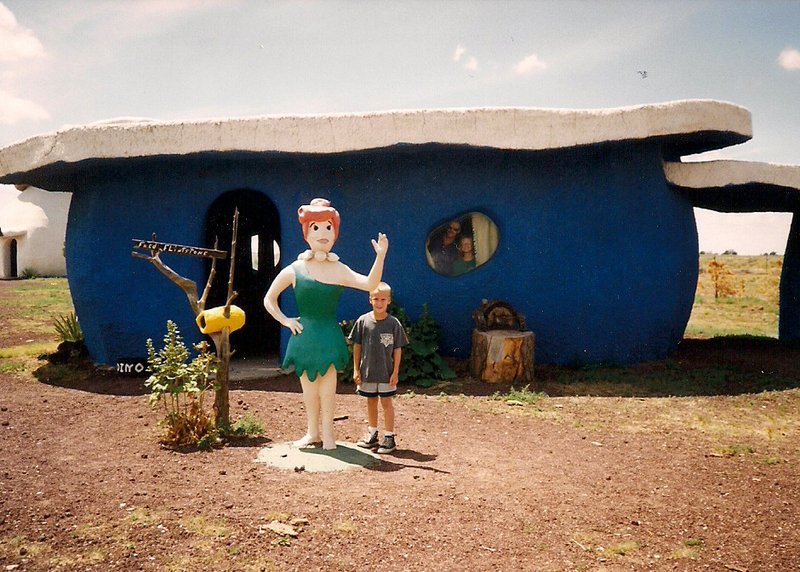 When our children were young, we didn’t have much money to take them on big trips. 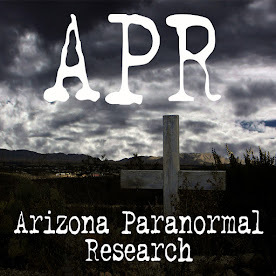 Since Arizona had lots of fascinating sites to see, we took them around the state and showed them places of interest in their state. 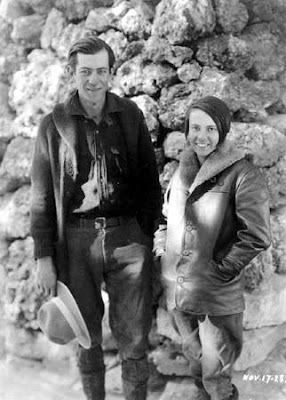 We took them south to Sierra Vista, Tucson, Tombstone and Bisbee on one trip and decided to go north on the next one. 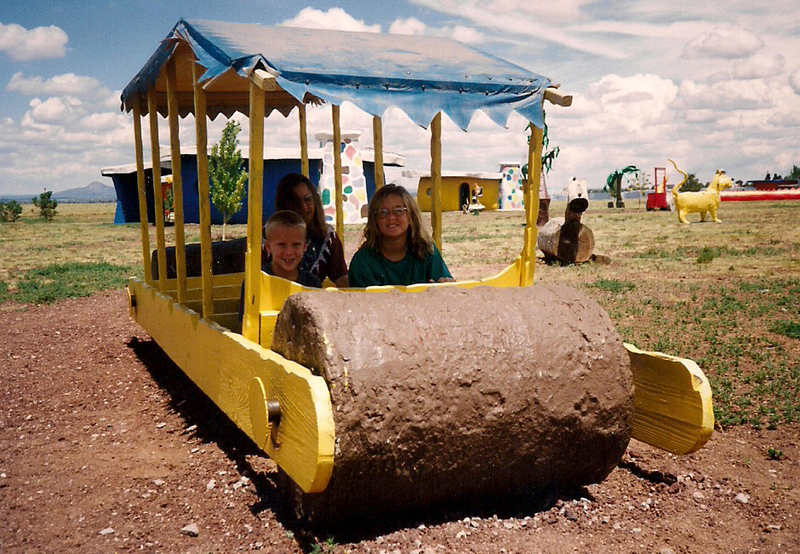 This trip would take us to the Grand Canyon, Meteor Crater, Lava Rock Park, Oak Creek, and Slide Rock. While traveling on Highway 180 towards the Grand Canyon, we came across a site which totally seemed out of place. 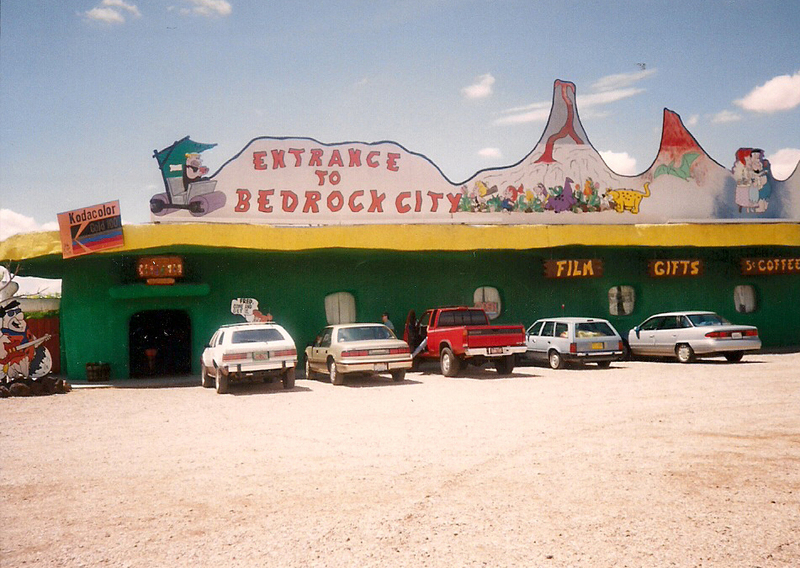 Flintstone’s Bedrock City is not something you think of when people mention Arizona. Things like dry heat, desert, and cacti but not a gigantic Fred Flintstone standing by a welcome sign with his famous “yabba dabba doo” engraved on it. After walking through the front door of the shop, you pay the fee, walk out into the rear yard, and feel like you are whisked back in time. It is Bedrock where the Flintstones and Rubbles lived, played and worked. 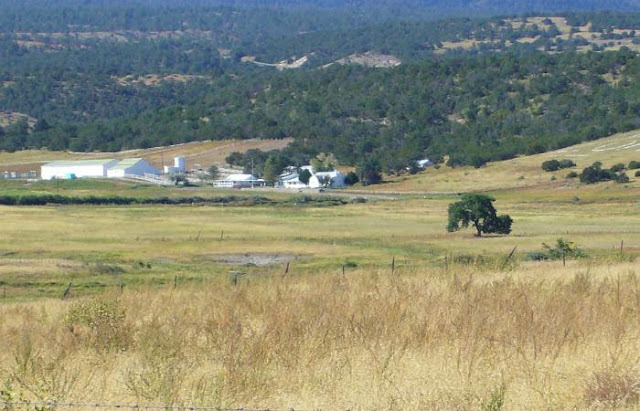 You take the walking tour to Slate Rock and Gravel, the bowling alley where Fred bowled on his toes, the diner, the Flintstone’s home, and many other places around this prehistoric town. 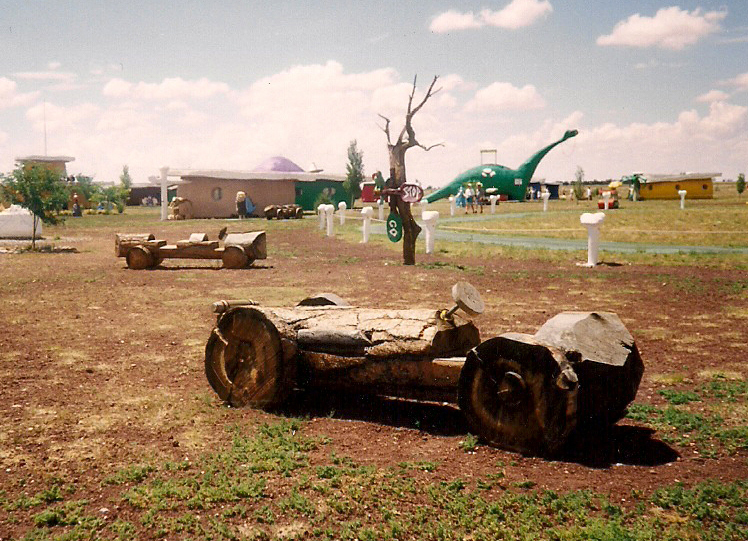 Flintstone’s Bedrock City was the brainchild of Francis Speckels, a son of an investor. He and his family built the park in 1972. 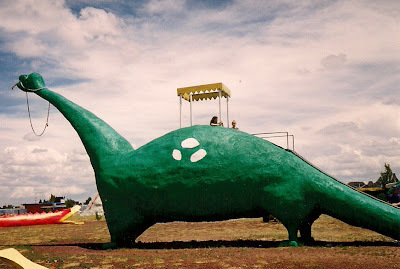 It has been updated since then and even since I have visited the place in the 1990’s. 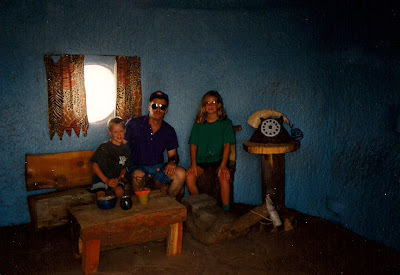 The pictures are of my children, husband and myself at the park in the 1990's. I like that, even if I did prefer the cartoon to the film. Would love to take my grandkids wish there was one in the UK.